missing our beautiful muse Ariel P Cat so much! The Michael Leunig drawing is so much more elaborate than the ones I usually see…he is often quite minimal in my experience. This one is amusing and so evocative of the charm of shelter in the face of winter. I love David Abram…I may re-read both of those books now that you have reminded me of them. 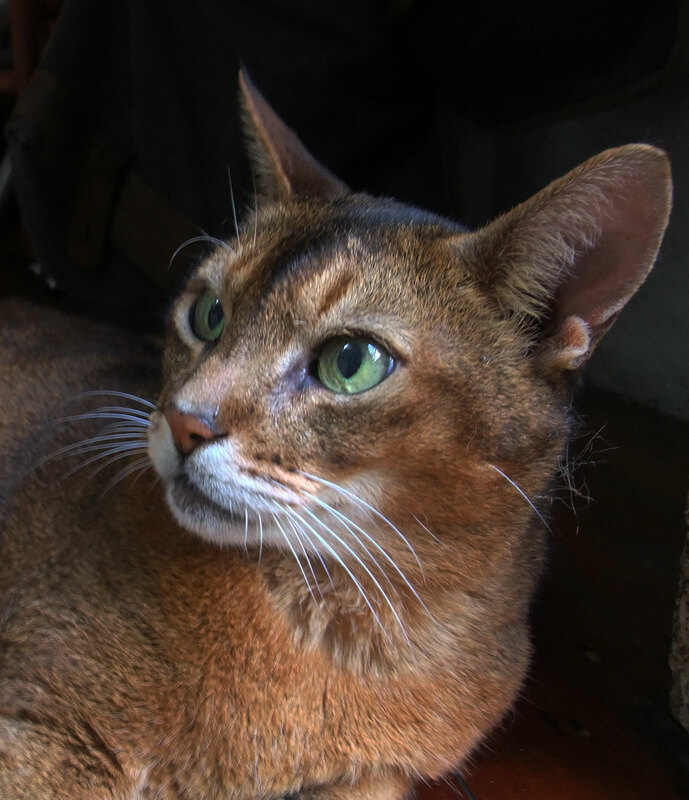 (((Dana))) there’s nothing like curling up with a good book and a cat in front of the fire even if it’s an electric heater and good memories of the best cat ever! I am reminded of the fact that you are will into Fall and already thinking about Winter while here we are still in soggy May where it’s been raining almost a month on and off.. Also reminded of all the felines I’ve loved over the many decades past. Your Ariel was so beautiful, and clever too. He lives on in your book of Cats and your hearts. Ahhhhh Mo ! can imagine you miss him dearly ! (((Els))) the missing wells up from deep in the heart and then all the good memories of our time together bring such joy, he’s in our hearts forever. Such a handsome and enigmatic fellow! 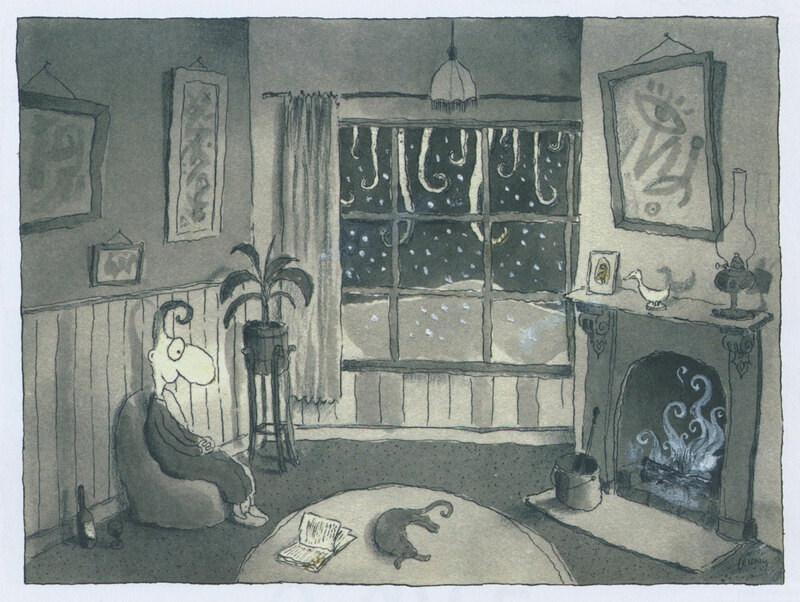 Also time spent with Leunig, cats and a fire is always well spent. Have you read When Women were Birds by TTW? (((Fiona))) When Women Were Birds is on my wish list! And loving how Leunig’s icicles echo the licks of flame. (((Liz))) love “how green might be the color of longing …” added to the longing of blue no wonder my favouite colour is turquoise! y’know Bateau Bay is just up the coast a bit from Sydney, such a small world. René Walkin’s pennant for The Dream!